I really haven’t been following very closely this whole controversy over NV Energy’s “smart meters.” However, a mailer I just received compares it to the speedometer on a car. Talk about apples and oranges. And anytime I see a campaign that has to mislead and misdirect to back up their position…that usually means they’re on the wrong side of the issue. The letter advised me that my “dumb” meter was scheduled to be removed and be replaced with a “smart” one in the next 30 days. Well, that didn’t sit too well with me, so I rang up the energy monopoly from my smart phone and asked if I could “opt out.” And the answer, frankly, stunned me. 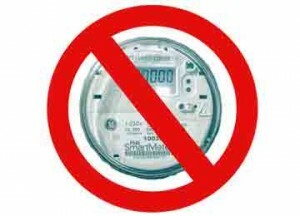 If I “refused” – and that’s the word the nice lady used, not “opt out” – to change over to the smart meter, I was warned that NV Energy could come take out my “dumb” meter and…get this…leave me with no electricity at all! I thought surely I must have misunderstood. But sure enough, I was informed, in no uncertain terms, that the meter belongs to NV Energy and that they are perfectly within their rights to come take it back and leave me, literally, in the dark. Which is not exactly the sort of threat you take lightly. In fact, them’s fightin’ words. Something tells me I’m about to become very, very much engaged in this fight.